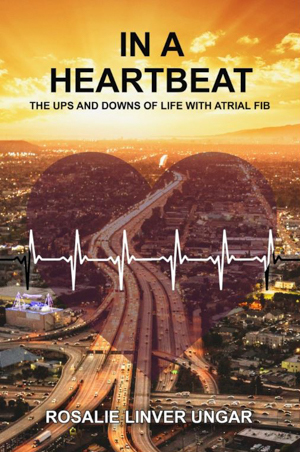 The worldwide monthly magazine for electrophysiology professionals EP LAB DIGEST published a two-page interview with me about my book IN A HEARTBEAT: The Ups & Downs of Life with Atrial Fib. Not long ago, the managing editor of EP Lab Digest contacted me through this website and the blogs you’ve been reading and asked if I would be interviewed for her magazine. We did a phone interview and a few weeks later the interview was published in the current December issue. A link to the magazine and the interview titled Living Atrial Fibrillation – My Story is here. Let me know what you think. Do you have questions? Did it help you? The same week I had to have my bi-annual meds check, mainly because of the sotalol heart arrhythmia drug that I take and have been taking for 10 years. At these blood draws every 6 months, testing is done for all the meds I take as well as an EKG. When Dr. Hummel’s office called with the results I was told that I should cut back on 2 medications: Instead of taking 2 80mg. sotalol tablets per day, 12 hours apart, I could now take only one, either morning or before bedtime. The other med, potassium capsules – 6 of them are gigantic (to me) for swallowing. Now I only have to take 4 of them, 2 in the morning and 2 at night. That cuts my daily pill count to 3 less meds making me so happy. I was taking 20 pills a day and now am down to 17, many of them are either vitamins and/or supplements. Why take heart meds at bedtime? I’ve read that blood pressure meds should be taken at night before bedtime. I don’t take blood pressure meds, but taking the other heart meds at night are for my convenience, a habit at about the same time every night, and like brushing teeth, I won’t forget. And, I sometimes feel that taking the meds at night insures that I’ll wake up in the morning. That’s just me. Losing 40 pounds over 5 or 6 years. Reducing food portions and eating a heart healthy diet which I have learned to love. Cutting out most desserts unless just a taste. Cutting alcohol to 1 glass of red wine a week. Attitude: I love life and am prepared to face everything else head-on. All meds have side effects, some are bad and others not so bad. By reducing the sotalol in half and potassium by a third, I expect to feel less tired and have fewer balance difficulties. Is it for real? Maybe it’s just attitude. We’ll see in 6 months at the next meds check. This entry was posted in Blog on December 17, 2017 by Mark Layman.